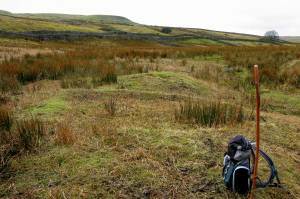 Record Description Burnt Mound at Muker Side, on private land but visible from public footpath. 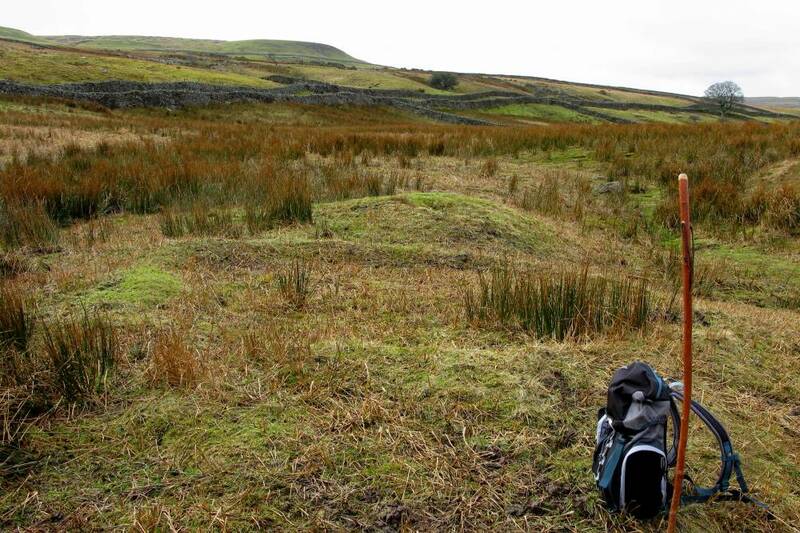 A characteristic double mound of medium size and crescentic form, situated just below a spring rise, the larger mound quarried out - probably for road stone. Burnt and cracked stone visible within the mound.